Is she spying on her boy friend, Thaddeus? 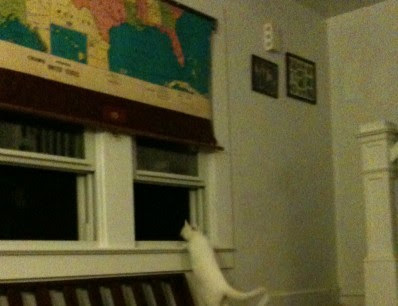 I think it was a general surveying of things she'd like to kill (if she could only get outside). She took the fury out on M_ the following day! Oh, she'd LOVE to kill. Scary, the trueness of Saturday counting. Interspersed with looking out the window.